College Basketball is back, and for me, it finally feels good to go to a school where making the tournament is not just something desired, but almost expected. Over the last 4 years, the Washington Huskies have either won the PAC 10 Tournament or won the conference out right, meaning the Huskies have been dancing 3 of the last 4 years (snubbed in 2012). In 2010, the Huskies even went to the Sweet 16, where they fell to West Virginia. With their recent history and myself being a huge sports fan, it may come to no surprise that going to a game was on my to-do list. As an added bonus, it was ANOTHER free sporting event due to connections in Seattle. Thanks to Ian’s uncle, who serves on the board of regents here at Washington, we were able to get 2 free tickets to see the Huskies take on the Loyola Great Danes at the Alaskan Airlines Arena on Sunday. I had previously missed my first chance to see the University of Washington Huskies play the Stanford Cardinals, who were ranked #6 at the time. To my dismay, I was sitting in class while my peers rushed the field in celebration. When the rankings came out on Sunday, the Huskies cracked the top 25. A position we soon relinquished. I knew I had to go to the USC, the first game I wasn’t tied down with orientation or class. Taboot, my great friend Tynan was going to be in town, so it would be even more fun. I acquired tickets through the student ticketing office. 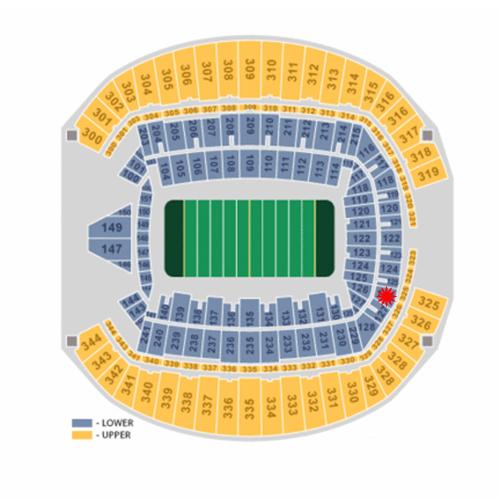 Tickets cost $20 each to sit in section 126, which was right behind the sold out “Dawg Pack”, the dedicated student section. Come gameday, I woke up with a bit of a hangover and little sleep because the night before Tynan and I went to a Macklemore and Ryan Lewis concert. After a brunch and some mimosas, Ty and I met up with my friend Ian at my apartment to drink some beers and watch some college football. With a solid buzz and some portable drinks, we went out to brave the misty, cool Seattle weather.